The World Water Day 2015 was celebrated on the 22 March 2015 with the theme 'Water and Sustainable Development'. As one of World Water Day 2015 celebration partners, Cap-Net UNDP has prepared and provided learning resources, which is the World Water Day Learning Pack. The learning pack consists of tutorials, toolbox, WWD learning materials, quiz, video and reports. 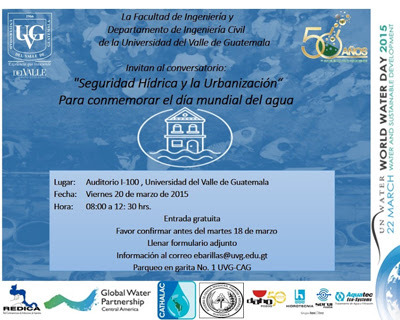 The Secretary-General’s message on the World Water Day 2015 can also be downloaded here. In addition to that, Cap-Net partner networks, REDICA, SCaN and AWARENET have organised or participated in events in conjunction of World Water Day 2015 Celebrations. Dr. Ralf Klingbeil, Coordinator for AWARENET and UN ESCWA Regional Advisor was invited by the Sultan Qaboos University in Muscat, Oman to present a keynote on "Water for Sustainable Development - Water for the Future We Want" in commemoration of SQU-organized national World Water Day event in Oman. The presentation can be accessed via this website. For more information, please contact Dr. Ralf Klingbeil. In conjunction with the World Water Day 2015 celebration, two activities were organised by REDICA. One of the activities were workshop on ‘Transparency and Integrity in the Water Sector’ from 17 to 19 of March 2015 which took place in San José, Costa Rica at the University of Costa Rica. This activity was featured in the UN world water day website. Participants from Costa Rica, Panama, El Salvador, Guatemala, Dominican Republic and Ecuador gathered for three days to gain knowledge and develop skills to implement transparency practices within their IWRM job scope. 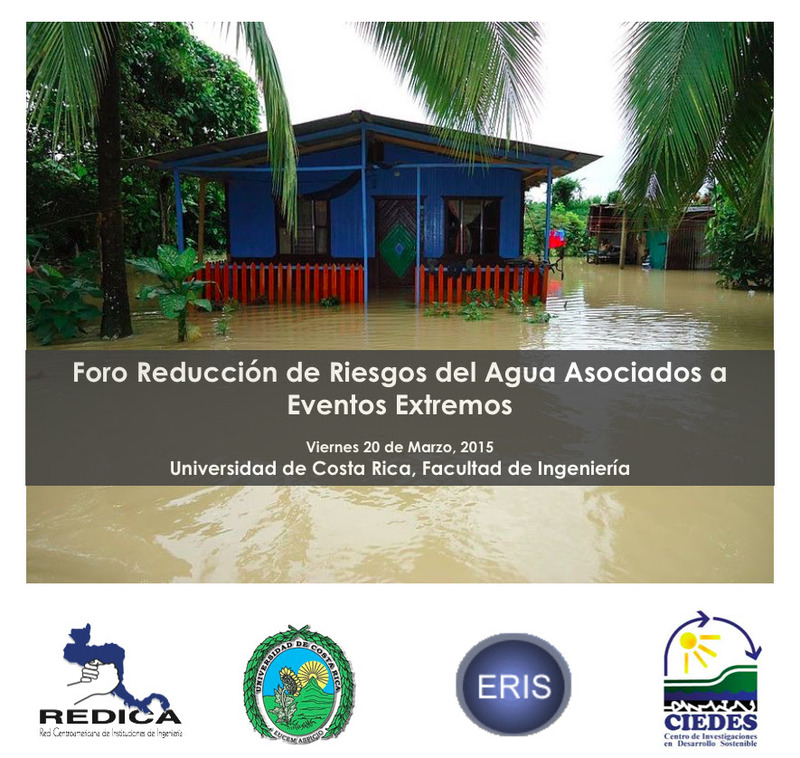 Case presentation: early alert system, the case of the Sarapiquí Basin Rafael Oreamuno, CIEDES from the Universidad de Costa Rica. For more information, please contact REDICA Coordinator, Ms. Liliana Arrieta. 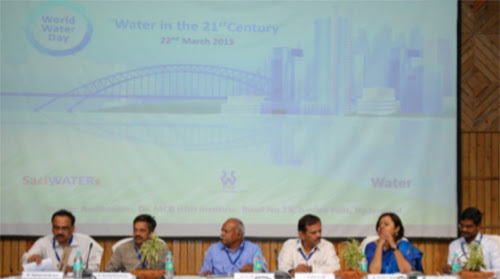 Sponsored by WaterAid India, the South Asia Consortium for Interdisciplinary Water Resources Studies (SaciWATERs) and the Government of Telangana - State Water Sanitation Mission (SWSM), Department Rural Water Supply & Sanitation (RWSS) celebrated the World Water Day on 22 March 2015 at Dr. Mari Channa Reddy, Human Resource Development Institute, Hyderabad. Delegates in this event were representatives from the state and district level government departments, Civil Society Organisations like NGOs, CBOs and academic institutions. Full celebration note can be downloaded here. For more information, please contact SCaN Coordinator/Network manager, Dr. Aditya Bastola.